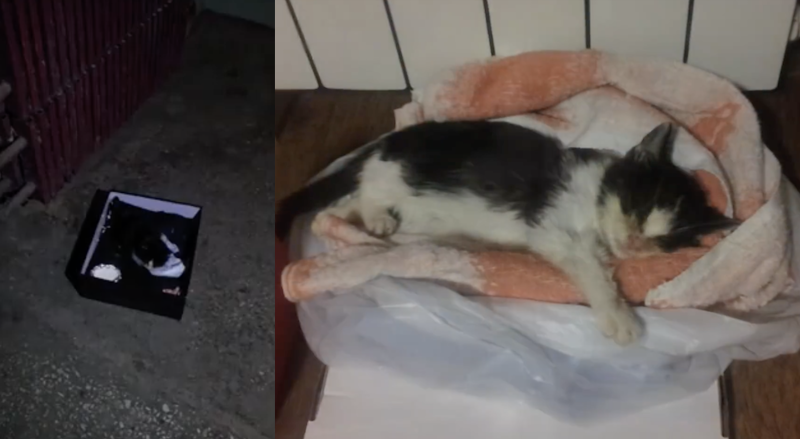 This poor kitten was left abandoned crying for help inside of a box. Someone had dumped him there and left him to die unless someone else was willing to go through the work to save him, thankfully someone noticed who cared! The man who found him was kind enough to take him to the vet and he had many problems, but the kind man did everything he could and helped save this kitten. This is such a wonderful story—SHARE this rescue story with your friends and family!